Remco Pardoel made his MMA debut at UFC 2. Since then, he has become one of Europe’s most sought after BJJ instructors. 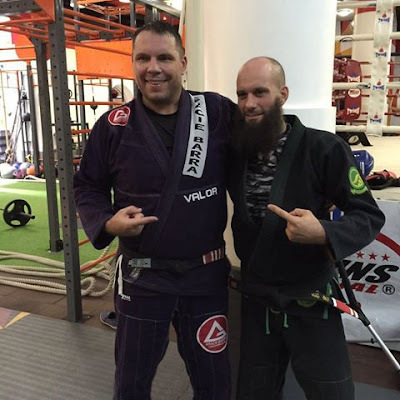 He was recently a guest on the best BJJ podcast – Grappling central podcast where he talked about various interesting topics including MMA’s early days, Europe’s early BJJ scene and also major announcement: He is leaving Gracie Barra after 14 years with them! Gracie Barra is the world’s largest BJJ affiliation with over 444 academies worldwide. Remco was leading Gracie Barra Netherlands but decided to leave them for various reasons, notably that in his opinion, too many GB members were cross training with other teams and that his students wanted for other people to lead GB in Holland instead of him. Last year another major GB leader left to form his own team: Ze Radiola who created ZR TEAM.